On Oct. 29, actor Anthony Rapp came forward with allegations that Kevin Spacey sexually harassed him when he was 14 years old, and Spacey was 26. In a lengthy interview with BuzzFeed, Rapp said the incident occurred when he attended a party at Spacey's home in 1986. Spacey has since released a statement apologizing for the incident, however he also claimed he does not recall it taking place. The 58-year-old actor ended the statement by coming out, noting that he chooses now "to live as a gay man." 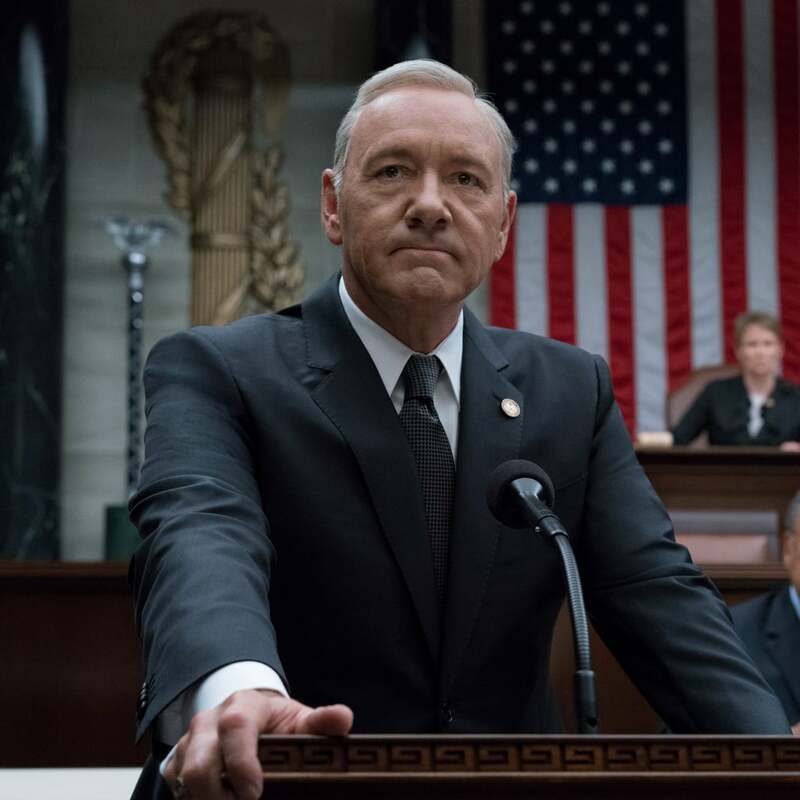 Following the shocking account, many conversations have transpired about the nature of Spacey's inadequate apology, as well as the future of House of Cards, since Spacey is both the star of the popular Netflix series and an executive producer. Now, Netflix has confirmed to Variety that House of Cards will end after its upcoming sixth season. There's no official word on whether or not the show was originally going to continue for a few more seasons, but showrunners will now promptly wrap up Frank and Claire Underwood's stories. Production has already begun on the sixth season, and it is still slated to air as usual in 2018. Like all of its preceding seasons, the sixth season will contain 13 episodes. A number of spin-offs are also in the works.